In a world of ever-increasing medical specialization, having a one-stop doctor for your family’s medical needs saves enormous time and frustration. You can get everything from diabetes to heart disease treated by one medical expert. 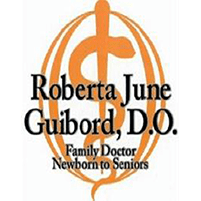 Dr. Roberta June Guibord offers care for the entire family at her practice in Perrysburg, Ohio. To set your family up for top-notch medical care, call or book an appointment online. The days of the doctor who treats multiple generations of family members seem to only exist in old TV shows or movies. The good news is that family medicine is alive and well, and Dr. Guibord prides herself on providing comprehensive care that addresses the needs of all family members, from babies to seniors. As a doctor of osteopathic medicine, Dr. Guibord comes with a well-rounded background and education in overall health and wellness. She’s trained to look at your body as a whole and understands the importance and function of each of the many parts. Because of the complexity of the human body, trouble in one area can have a cascading effect on your entire health. Dr. Guibord can spot potential problems, ensuring you get the care you need right away. Medical science has solved many problems over the years, but there are equally as many mysteries when it comes to human health. While causes and cures of some of the most common conditions, such as diabetes and heart disease, remain elusive, the role of genetics is emerging as a significant player in all areas of your health. Because of this, family medicine is crucial when it comes to diagnosing and managing any health problems in your family. In her role as a family medicine doctor, Dr. Guibord understands the landscape better than most since she has your family’s medical history at her fingertips. Not only does this allow her a better position for diagnosis, but Dr. Guibord can also monitor and mitigate any hereditary risk factors. What Can Be Treated At A Family Medicine Practice? As the first stop for your family’s health, Dr. Guibord takes these and other factors into consideration when forming her diagnoses and treatment plans. If necessary, she can also ensure that you receive the care your family needs from specialists with all of the necessary background information. To get the best care for your family, call Dr. Guibord or book an appointment online.